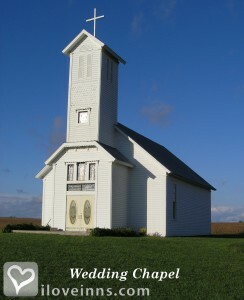 Offering more than just accommodations, Big Grove Village in Oakland, Iowa is open year-round with historic buildings that include a country inn, restaurant and wedding chapel. Fully restored to its original condition with period furnishings, the one-room schoolhouse can also be toured. 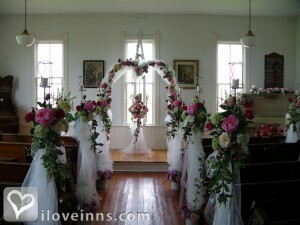 The Victorian chapel is popular for intimate weddings. Relax in the lodge sitting room or on the red brick patio with a wet bar surrounded by herb and flower gardens and landscaped grounds. The log cabin boasts a private entrance, antique steel bed and a stone fireplace. Stay in a Victorian room or a suite that features a whirlpool tub. Linger over hearty and delicious country-style meals without rushing to fully savor the slower paced lifestyle.Location: Country. Victorian Suite includes both rooms, shared bathroom and comfortable parlor to sit in. Payment types accepted include Master Card, Travelers Checks and Visa. Rooms: This property has 6 total guest accommodations, 5 with private bath, 1 with fireplace, 2 with whirlpools and 2 conference rooms. 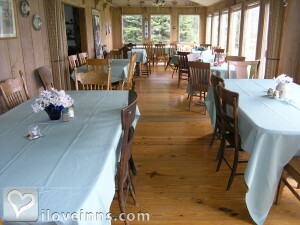 Types of meals: Restaurant on Premises, Lunch, Full Breakfast, Dinner, Brunch and Desert. Amenities In Room: Air Conditioning, Bath Amenities, Ceiling Fans, Clock Radio, Reading Lamps, Refrigerator, Television and Turn-Down Service. Amenities On Site: DVD, Television, Fireplace, Phone, Computers, Archery, Merry go Round, Volleyball, Tetherball, Horseshoes and Firepit on Patio. Business Traveler Amenities: Daily Newspapers, Desk, Flexible Cancellation, Flexible Check in/out Times, Hair Dryer, Internet Access, Iron/Ironing Board and Television. Events Hosted: Meetings, Family Reunions, Romantic Getaways, Seminars, Weddings and Brunch Luncheons Dinners Desserts Banquets Tours. Other Activities: Antiquing, Bicycling, Canoeing/Kayaking, Fishing, Golf, Hiking, Horseback Riding, Live Theater, Museums, Parks, Shopping (Local Crafts), Skiing Cross Country, Water Sports and Wineries. 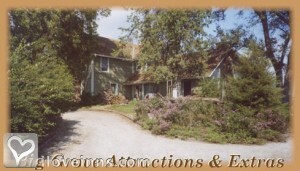 House was built on an 1850 Log Cabin that was moved to this location in 1880 and the house built around it. Historic sites nearby: Hitchcock House Underground railroad for slaves.